The number of foreign air passengers arriving in Turkey's tourism capital, Antalya, reached 6.9 million in the first seven months of this year - almost 32 percent more compared to the same period last year. According to the Antalya Provincial Directorate of Culture and Tourism, a total of 2.1 million foreign passengers arrived in the cities two airports - 2 million at Antalya Airport and 60,141 at Gazipaşa Airport - on July 1-29, 2018. During this period, the number of arriving foreign passengers increased by 21 percent compared to the same period last year. 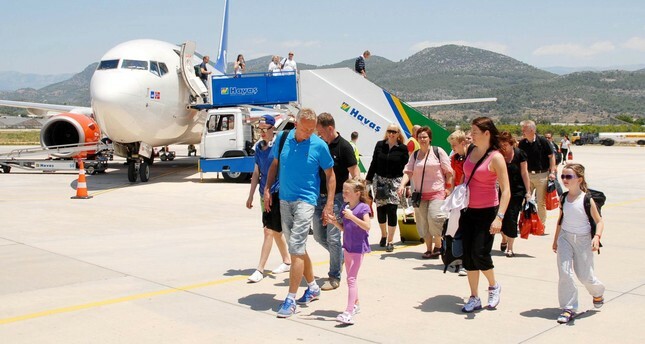 In the seven-month period from Jan. 1 to July 29, some 181,021 passengers arrived at Gazipaşa Airport while Antalya Airport received more than 6.7 million people, reaching a combined total of 6.9 million foreign passengers. The number of foreign passengers rose by almost 32 percent compared during this period compared to last year. In the first seven months of 2017, the total number of foreign passengers arriving at Antalya's two airports stood at 5.2 million.